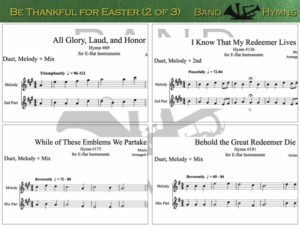 Invite the spirit of Thanksgiving and the reverence of Easter by playing these wonderful hymns. 199 – He Is Risen! 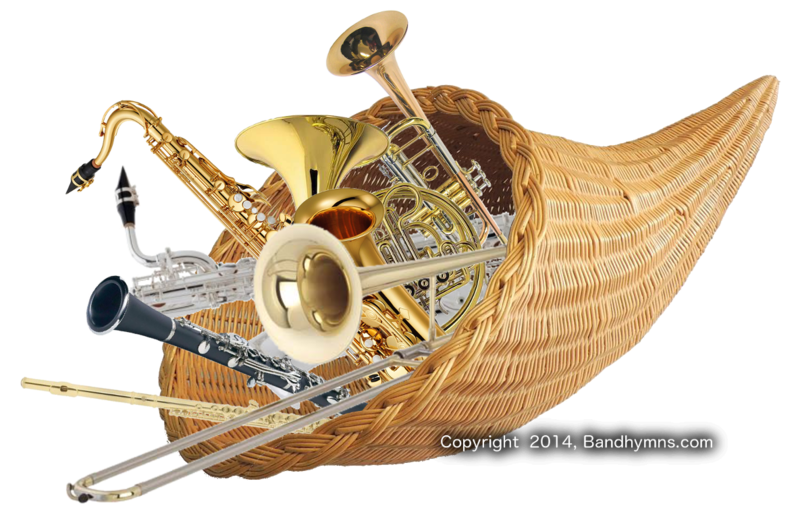 This compilation of duets for E-flat instruments (alto sax, baritone sax, etc.) 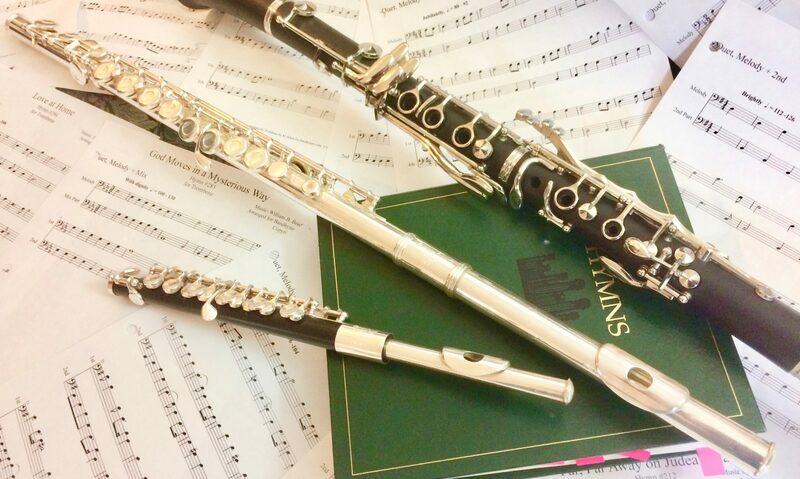 are transposed from the LDS hymnal and can be played along with the piano or organ as written right out of the hymn book. Play as a solo, duet, or with a piano or organ at your church party or talent show, for friends or family, or along with a choir. 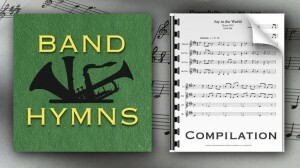 This digital download of duets consists of 12 hymns transposed from the green LDS Hymnal for your instrument. 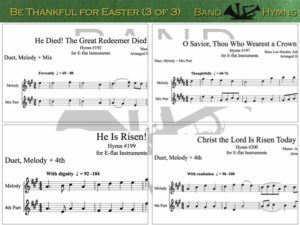 The download format is a PDF of 13 pages (one hymn per page plus a cover page). 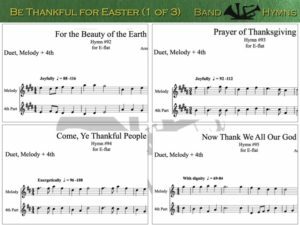 There are 4 Thanksgiving hymns and 8 Easter hymns.